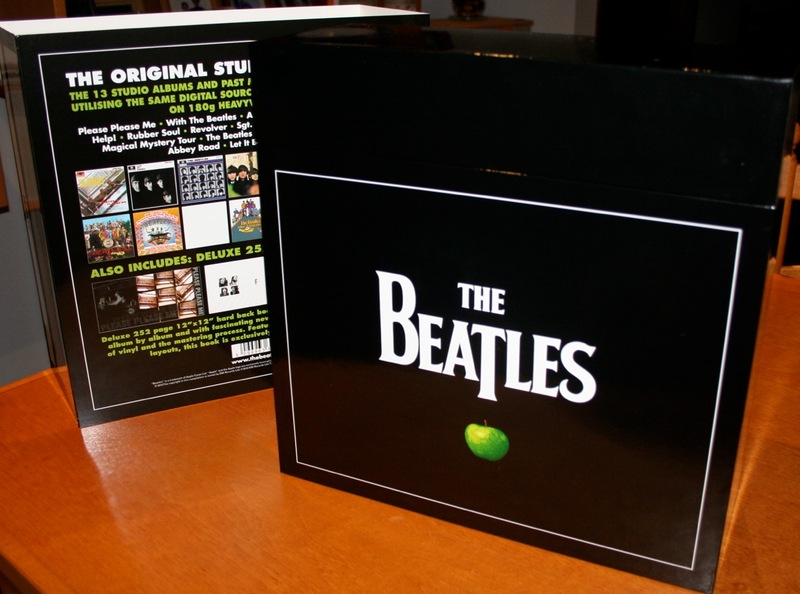 Is Australia the very first country to see the new Beatles Remastered Stereo Vinyl Box Set delivered? Well, that’s about it for now. Hope you enjoyed this. Haven’t had time to open up any of the records or the book. 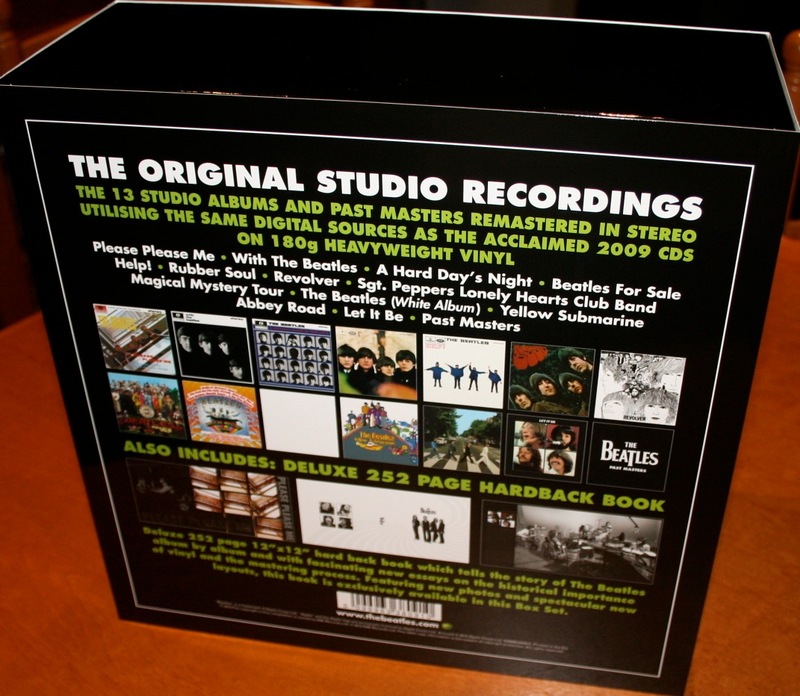 Just wanted to get this up quickly for all to have sneak peek at the new Beatles Remastered Stereo Vinyl Box Set. 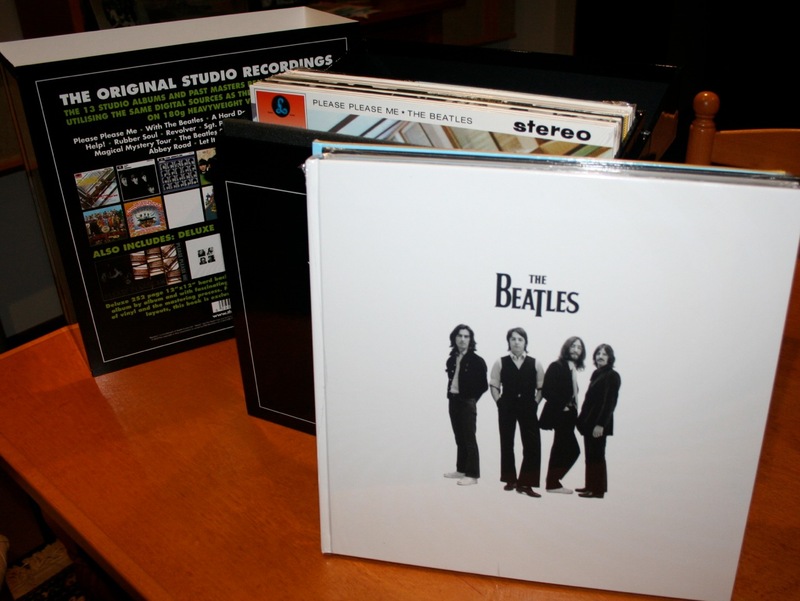 This entry was posted in Apple Records, Beatles, Beatles Collecting, Beatles Music, Capitol Records, EMI Records and tagged Beatles, Beatles Collecting, Beatles Remastered, Beatles Stereo, reissue, Stereo Remasters, Unboxing, Vinyl box set by beatlesblogger. Bookmark the permalink. I am a fan in Hong Kong. While waiting for mine to arrive next week (ordered from Amazon US), am very exciting to see your photos. Many thanks. 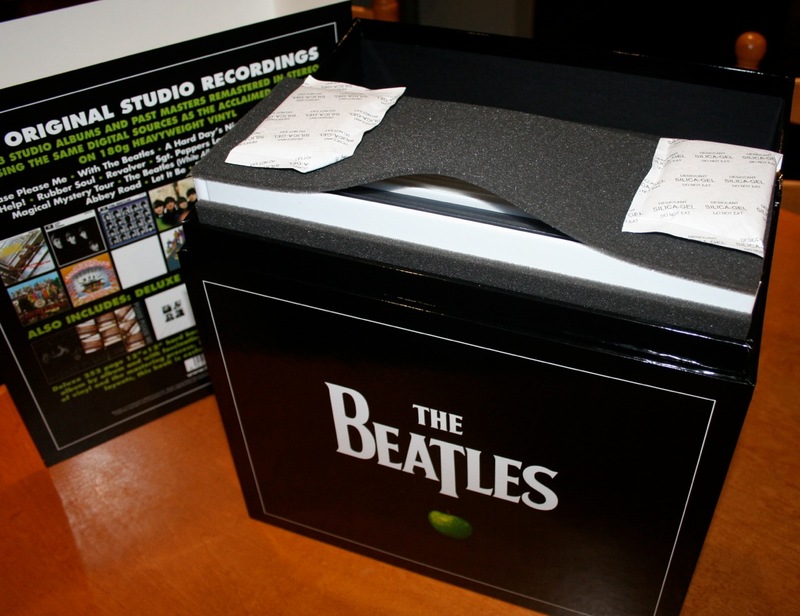 Absolutely amazing, especially the way in which it is packaged, is that they have taken the necessary security measures. 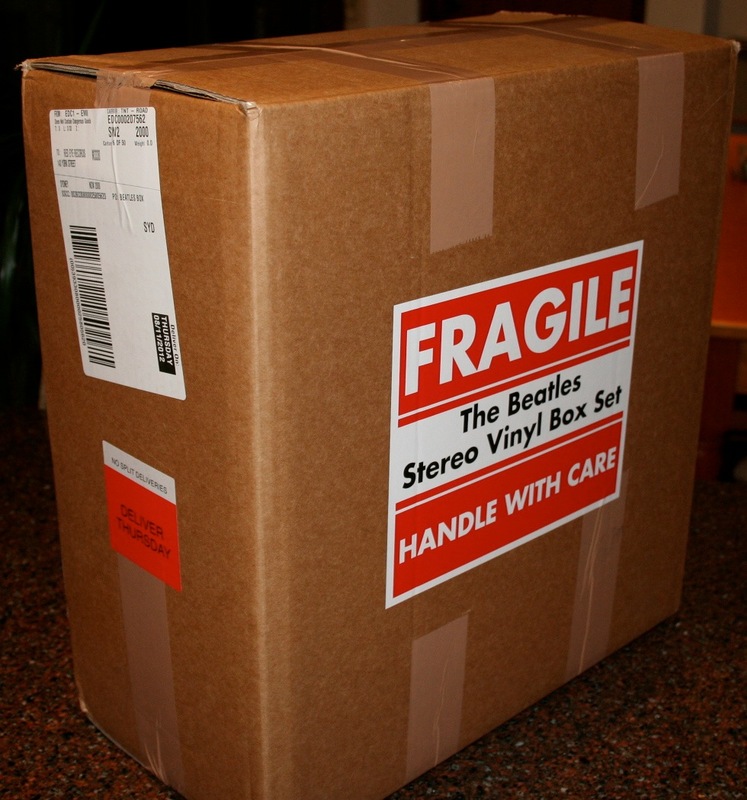 Two weeks ago I saw a photo published by EMI Argentina where they delivered a Beatles Stereo Box Set to a country singer that was birthday. 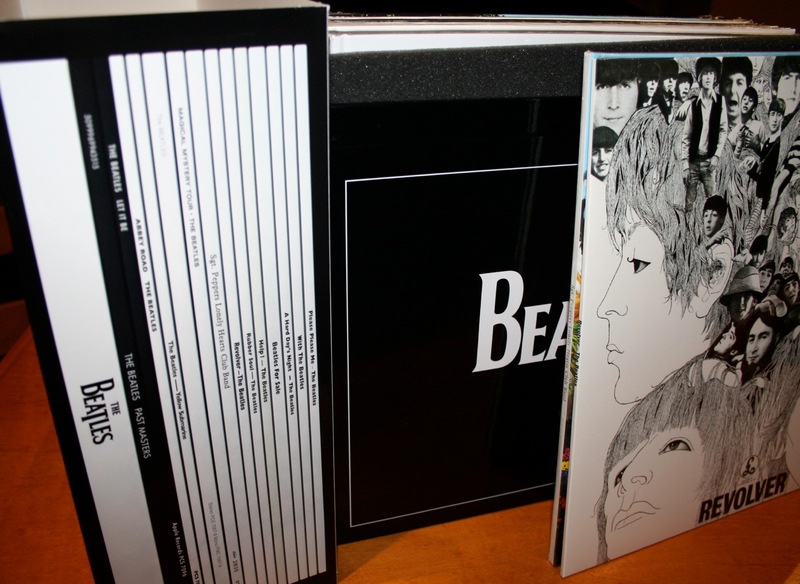 Last week EMI Mexico made ​​an example of Box Set for a small group of fans. 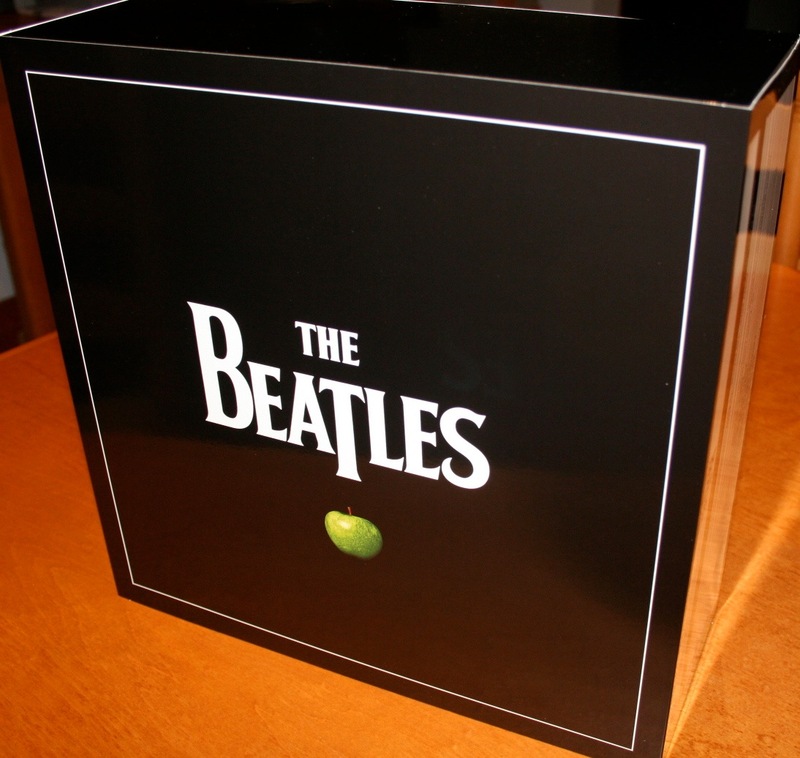 I’m sure this product (Box Set), will soon be Sold Out. 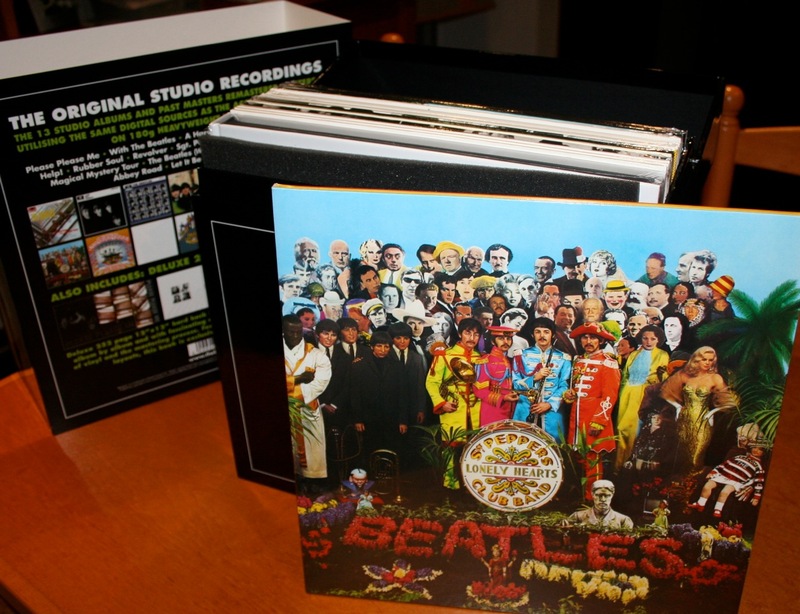 Thank you very much for sharing the pictures, now more than ever I can not wait to have my Box Set!. Is it made in the EU or the US? Or another country? 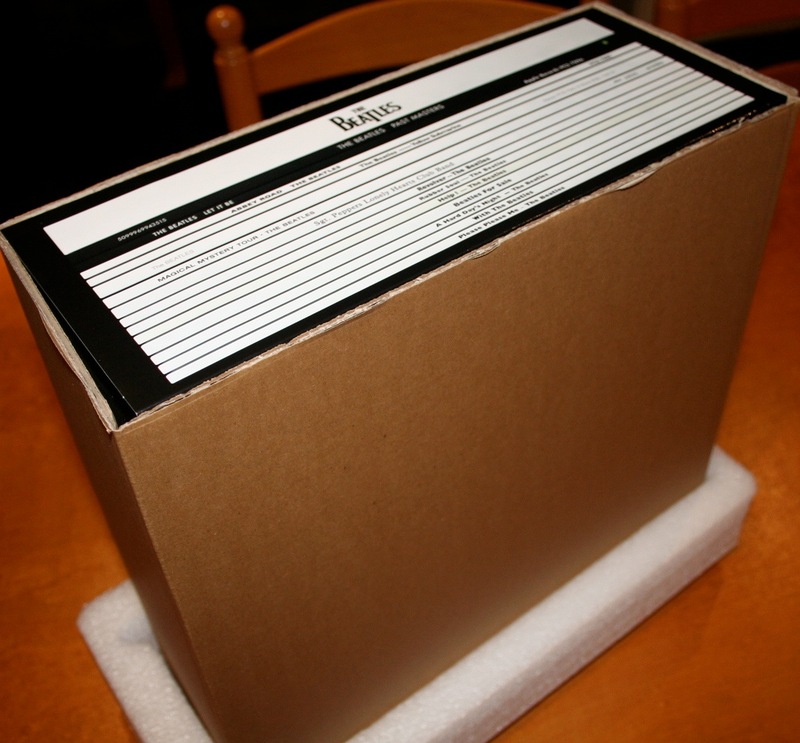 What does the box indicate and what do the individual LPs indicate? Thanks so much for sharing these pix – amazing! It’s a beautiful thing, for sure! 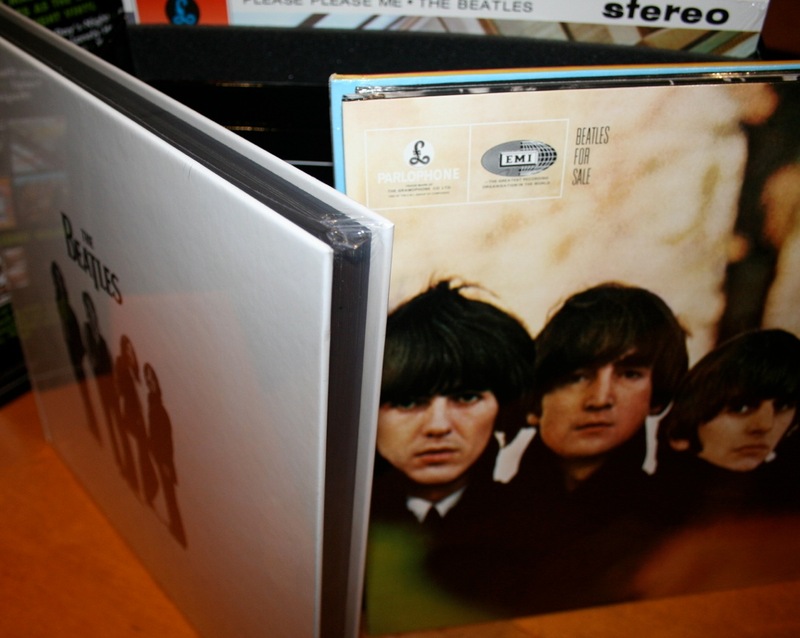 I hope you plan on sharing more photos when you take the shrink wrap off of the albums and the book, as well. Got my box yesterday. The pictures are perfect as to what mine was. THANK YOU!! Now to open it & travel back in time! 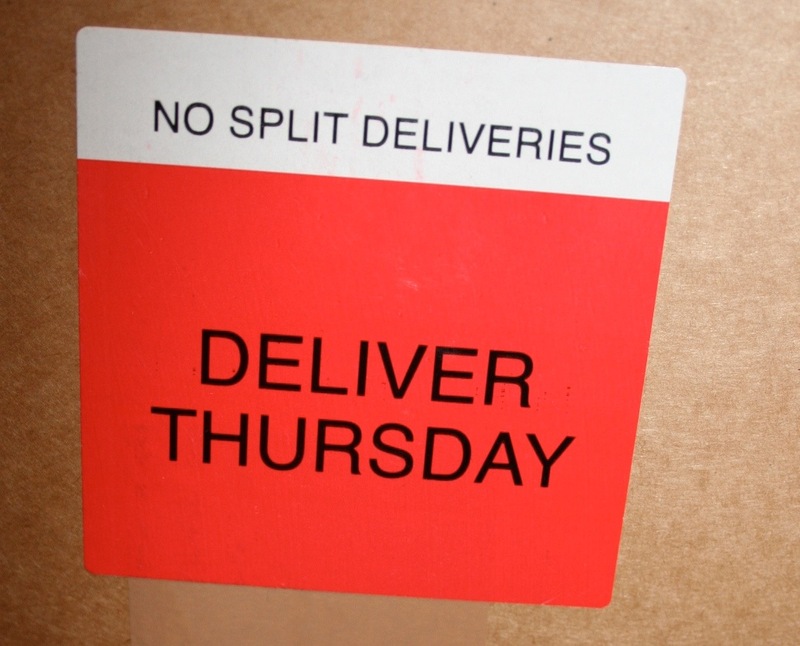 It’s a pity Amazon US (or Capitol?) 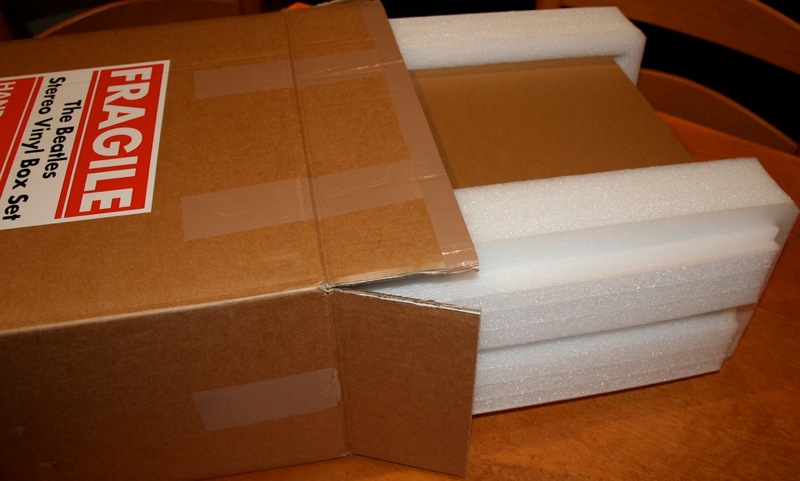 didn’t seem to take the packaging as seriously as this. 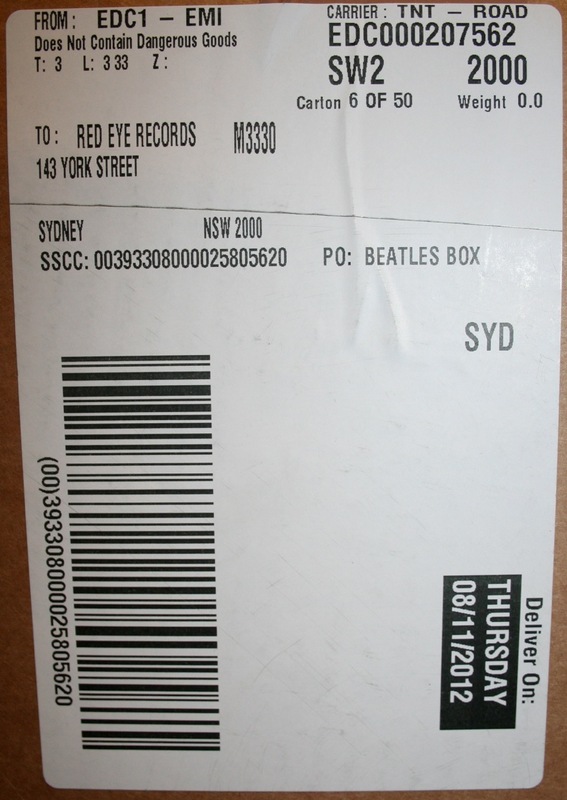 I pre-ordered from Amazon to get the best price via a combination of strong Aussie dollar and pre-order price guarantee (where you get charged the lowest price that it reaches before the ship date), and although my end price was about $300AUD, it arrived via UPS in a very standard unmarked cardboard carton just slightly larger than the boxset itself, with a single strip of that stiff brown paper that you crush up to fill in the gaps. Whilst there wasn’t any serious damage, there are a few noticeable dents in the outer slip cover that wouldn’t be there had it been packaged as shown above. 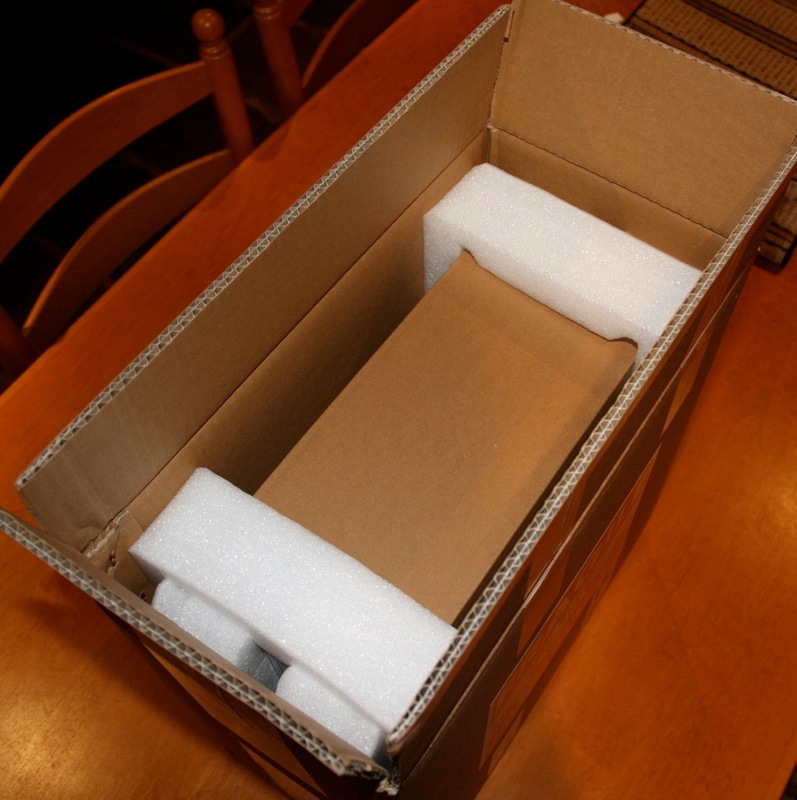 Hi Michael, I was tempted by the price to order this item on Amazon, but it is so heavy and bulky I didn’t want to take the chance of it being damaged in transit. They package some things very well, but other times it is done in a very slap-dash manner. I too have had items bent, torn or dented. And that’s frustrating for a collector. 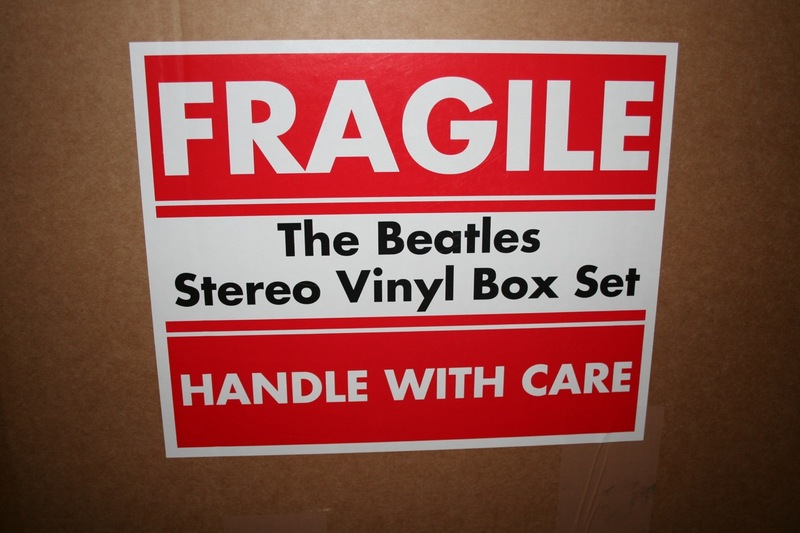 I want, and expect, brand new items to be in mint condition when they arrive. So I got mine from my local record shop. I paid a premium for that of course – but the results are as you see in the photos. Thanks for your comment. 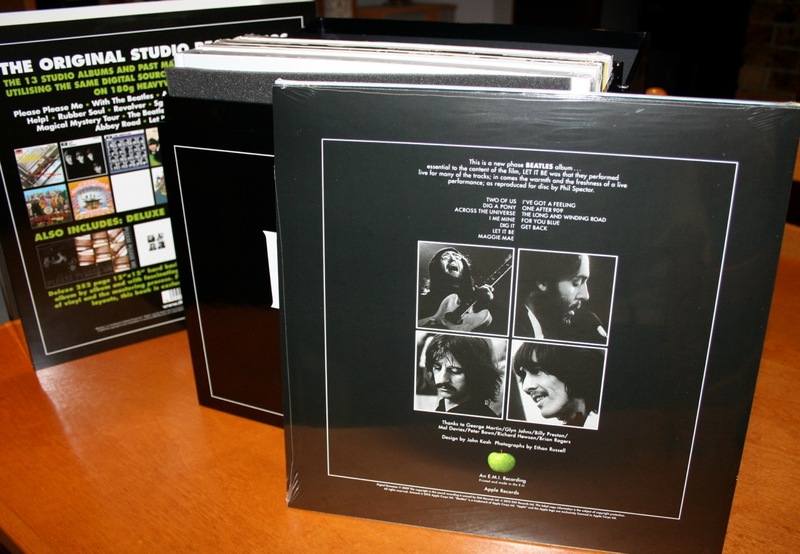 does anyone know if there are pictures of the back of the Parlophone releases? Hola Michael. En México ya llegó y ya tengo mi caja con los 16 LPs. Están hechos en USA (EEUU). 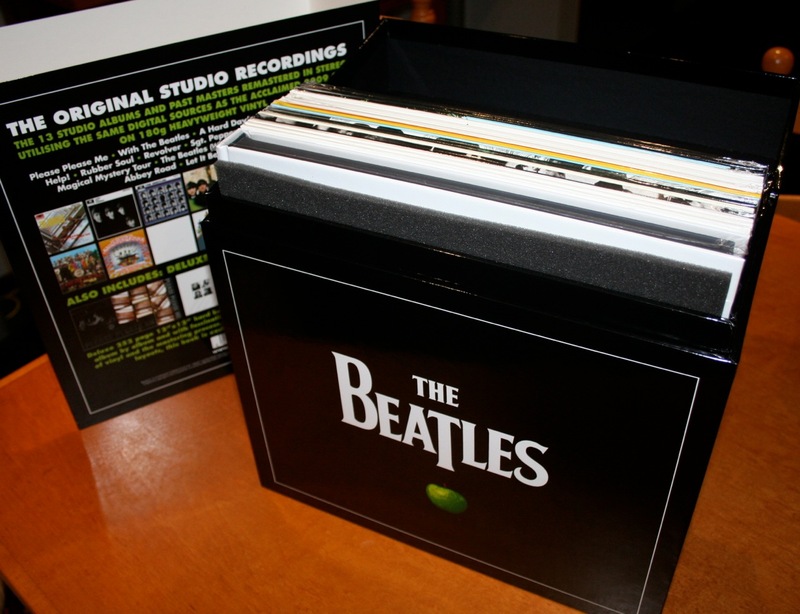 Translated this says: Hello, Michael in Mexico here and I have my box set with the 16 LPs. They are made in USA (USA).